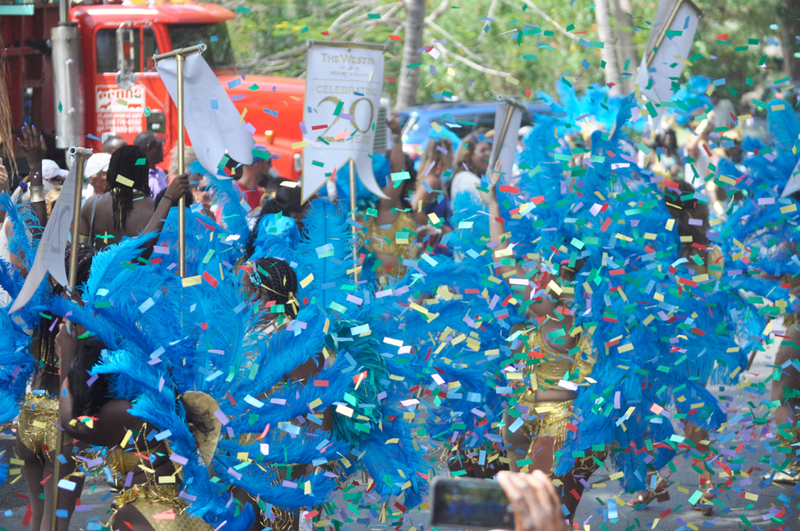 The Westin’s troupe, carrying signs celebrated the resort’s 20th year on St. John, blew a blizzard of confetti into the air. St. John Festival Queen Jeminie Niles rides in Tuesday’s parade. 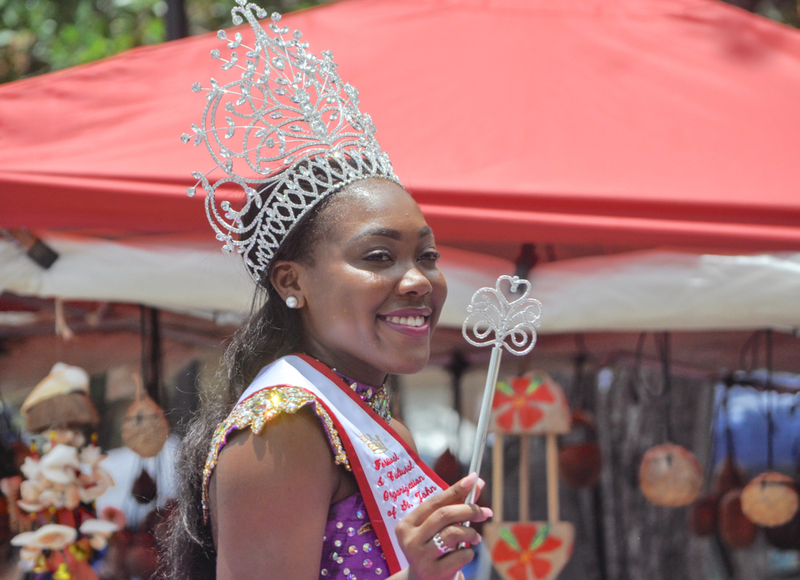 St. John’s 2017 Festival Parade proceeded smoothly through Cruz Bay with minimal gaps Tuesday, to the pleasure of those who braved the July heat to catch their favorite troupes, as well as a few surprises. The theme of 2017’s Festival was “The Present and Past in Ways Never Foreseen,” and at times the contemporary did combine interestingly with tradition, as when camera drones hovered over longtime parade mainstays like the Shaka Zulu troupe and the Traditional Indians. Ecological issues and U.S. presidential politics also found expression in the parade in places, and several entries made nods to the Virgin Islands’ centennial of transfer from Denmark to the United States. Cooper Penn, a 32-year-old commercial and advertising photographer from St. John, headed the procession as 2017’s parade marshal. Penn moved back to the territory from the mainland U.S. in 2016. “I’m just honored to be here, honored to start the parade that I love and cherish so much,” Penn said. Parade marshal Cooper Penn chats with a woman on the route before leading the procession. He added that he was looking forward to circling back to the beginning of the parade route and doing it again, the second time as a mocko jumbie with the troupe he’s helped organize and run for the last 14 years. 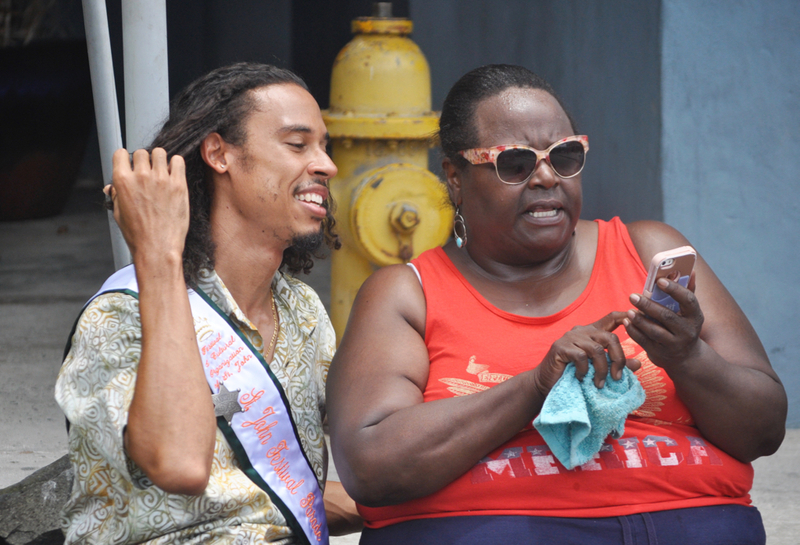 “I’ve only missed two carnivals in my entire life,” Penn said. Following the marshal was the traditional convoy of carnival royalty, which included 2017’s St. John Festival Queen Jeminie Niles and Princess Yamilette Diaz-Reyes. Former senator-at-large Craig Barshinger led a pair of Nissan Leaf electric automobiles which he said can be powered entirely by solar energy. One of the cars had a decorative sun extended on a pole from its roof. 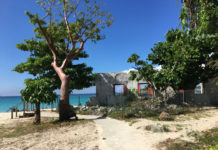 “Purchasing an electric car is a fantastic way of celebrating the Virgin Islands’ environment,” Barshinger said. 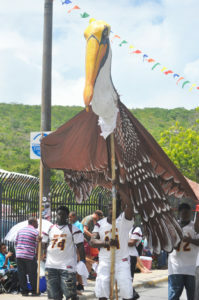 Ivanna Eudora Kean High School athletes carry a large-scale pelican puppet for the Governor’s Summer Reading Challenge. The V.I. transfer centennial was the theme for two troupes of majorettes, the St. Thomas Majorettes and the Sebastien Majorettes, as well as for the Eagles Troupe, whose entry “Centennial Fireworks” was presented in collaboration with the V.I. Transfer Centennial Commission. The Eagles marched behind a red, white and blue sequined float with a large centennial logo and plastic cannons. Members of the troupe each held up decorative firework displays adorned with the names of notable Virgin Islanders including U.S. founding father Alexander Hamilton, labor leader D. Hamilton Jackson, and former V.I. senator Ruby Rouss. The mood of jubilation towards the centennial was mirrored in the presentation of the St. Thomas Majorettes, who did their routine with fake glasses of champagne, wrapped gifts and a person-sized cake decoration. Frequent single-entry marcher Chester “The Mighty Groover” Brady was typically colorful on the parade route, wearing an enormous hat topped with pink, yellow, blue and orange “fracos” or cups of shaved ice with flavored syrup. “I wanted to do this one, because it’s always so hot. And the big hat keeps me in the shade,” said Brady. Education was also a well-represented theme in the 2017 Festival Parade. In addition to the participation of troupes from Julius E. Sprauve School and Gifft Hill School, the V.I. 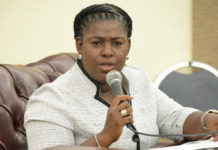 Government sponsored two education-related entries, one on the importance of STEAM (science, technology, engineering, the arts and mathematics) curriculum and another on the importance of reading. Musician Eddie Bruce adds some cowbell to a set by St. John steel pan group the Love City Pan Dragons. The reading troupe, marching under the banner of the annual Governor’s Summer Reading Challenge, featured posters highlighting children’s books written by Caribbean authors as well as two large puppets representing characters from the books. Each puppet – a sea turtle and a pelican – took several people to maneuver down the street. 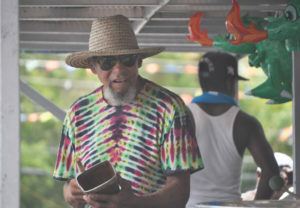 Popular calypsonian Whadablee and his son performed together behind a truck decorated with posters condemning President Donald Trump’s policies on healthcare and immigration, the parade’s one explicitly political entry. The parade’s second half was dominated by troupes packed with mas players in feathered costumes moving to the beat of music played by the likes of Cool Sessions Band and DJ Cypha. As they often do, the Gypsies troupe, one of the Virgin Islands’ oldest, worked to make their costumes especially distinctive. This year they wore neon construction vests, tool belts and hardhats. The costumes were made for the St. Thomas Carnival parade to celebrate the end of renovations to Fort Christian, although the troupe’s related “fort float” did not accompany them to Cruz Bay for the smaller St. John parade. Troupes such as the Infernos and the Caribbean Ritual Dancers made their usual festive showings, but the Westin Troupe, celebrating the hotel’s 20th year on St. John, appeared to be one of 2017’s largest. As part of their choreography, the Westin crew threw sizable amounts of confetti into the air. As the afternoon sun began to cool, the Hugga Bunch troupe concluded the parade with their “Hats Off” performance, whose costumes and choreography were debuted in St. Thomas’s Carnival Parade.